In Central America, the close proximity of several cultures lead to shared religious belifs, architechture, science and technology for thousands of years (Galindo-Tovar 2007). Also sharing similar climates and production capabilities, a trade network was established between Central American civilizations, thus allowing for the distribution of avocado. While much of the early history of the avocado is still unclear, it is proposed that the avocado and other crops were brought from Mexico to Ecuador and to northern Peru in pre-Columbian times by the Valdivia culture. Jacques Huber, a Swiss botanist known for his studies of Southern America flora was stated saying “Everything indicates that the avocado, originally indigenous to Mexico, has been cultivated since immemorial times, and that it very early spread through Central America to Peru; then into the Antilles, and much later into Brazil.” (Popenoe 2012). The Valdivia culture traveled by boat from west Ecuador to Peru and Middle America in 2200 BC, and to southern Mexico by 1450 BC. Throughout these travels they dispersed several plants species, one of them being Avocados. In addition to the exportation of Avocados by the Valdivia, it is also know that the Inca King, Tupac Inca Yupanqui, was a large contributor do the domestication of Avocado throughout Central America. When he conquered both Palta (now Ecuador) and Cuzco, he brought the Avocado trees with him for cultivation in his new land. It is therefore not surprising that by the time the Spanish settlers landed, the Avocado was being consumed all throughout Central America (Galindo-Tovar 2007). "...here are groves of many different sorts of edible fruits, among others is one which looks like an orange, and when it is ready for eating it turns yellowish; that which it contains is like butter and is of marvelous flavor, so good and pleasing to the palate that it is a marvelous thing." The 16th century introduced European settlers to the Western shores. The Spanish were the most prominent explorers of Central America and in turn were the first Europeans to eat avocados. 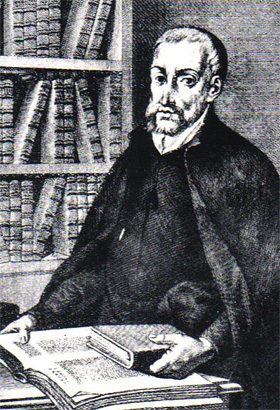 The first Spanish documentation of the fruit was written by Martin Fernandez de Encisco (1470-1528) in 1519. In his book he described it as such: "...here are groves of many different sorts of edible fruits, among others is one which looks like an orange, and when it is ready for eating it turns yellowish; that which it contains is like butter and is of marvelous flavor, so good and pleasing to the palate that it is a marvelous thing." (Galindo-Tovar 2007) Eventually, the Spanish gave a name to the avocado (aguacate) and brought the fruit back with them to sell throughout Europe. They marketed the avocado not only as a smooth tasting fruit, but also as a medicine. Using the fruit itself for it's believed curing capabilities of the common cold and the seed to treat swelling and bruising, the Spanish were very fond of the avocado. The Spanish were so fond of the avocado in fact, that they distributed it to all of the Spanish Colonies. It was not only distributed throughout West Indies (first reported in Jamaica in 1696), but to almost every major tropical and subtropical world country with suitable environments (Morton 1987). Avocado was introduced to Indonesia by 1750, Brazil in 1809 and the Phillippines in 1890 (Galindo-Tovar 2007). The Avocado was introduced to India in 1892 but was never developed into a popular food as the Indian culture has a preference for sweet fruits. It was also planted in Hawaii in 1825, becoming very abundant around the island by 1910. The avocado was further introduced to the United States when the fruit was planted in both Florida in 1833 and California in 1856. This was the full record of Spain's distribution network of the avocado. The growth of the avocado that we see today was certainly propelled forward by Spanish settlers, and the market for the fruit would not be nearly as prominent were it not for their instant fondness of the avocado (Galindo-Tovar 2007). After the avocado was exported throughout most of the tropical world by the Spaniards, various cultures developed a lust for the fruit. This desire has continued and grown throughout the 20th century as the globalization of the avocado has continued (Galindo-Tovar 2007). From 1933 to 1998 avocados had mass expansion throughout North and South America, Central America, the Caribbean, Africa, Asia, Oceania and Europe (Popenoe 2012). This expansion has led to the avocado becoming the fourth most popular tropical fruit in the world in the modern era, and it continues to grow. China represents the mass expansion that the avocado has undergone in recent years, as it didn't grow any of the fruit in 1991, and by 1996 it was mass producing 45,000 tons. While the avocado is present throughout most of the world now, Mexico remains the largest exporter of the fruit, sending out 1,021,515 tons in 2005 (Morton 1987). The national expansion of the avocado is exceptional as it has done so without mass production orchards. Mexico still only cultivates it's avocados with traditional orchards, backyard gardens and as living fences. However it is not only Mexico that exports avocados. The table on the left shows the vast array of countries that have noticeable export numbers, and also shows just how much the avocado has spread globally as to have so many major exporters. Lastly, the second figure below displays the extent to which the avocado is undergoing internal growth in the United States. So while it is spreading globally throughout the world, it is also growing in popularity within the countries it has been established in. Serving Suggestions: This mild guacamole can be customized easily to suit a variety of tastes. Place small bowls of chopped jalapeño or serrano chiles, cilantro, garlic, tomato, onion, and seasonings around the guacamole bowl and let everyone build their own perfect dip. Beverage Pairing: Try with a glass of crisp Sauvignon Blanc. Galindo-Tovar, María Elena, Amaury M. Arzate-Fernández, Nisao Ogata-Aguilar, and Ivonne Landero-Torres. "The Avocado (Persea Americana, Lauraceae) Crop in Mesoamerica: 10,000 Years of History." Harvard Papers in Botany 12, no. 2 (2007): 325-34. Morton, Julia F., and Curtis F. Dowling. Fruits of warm climates. Winterville N.C: Creative Resource Systems, 1987. ​Popenoe, Wilson. Manual of tropical and subtropical fruits: excluding the banana, coconut, pineapple,: The Macmillan Company, 2012.